In the days following my miscarriage, several friends sent me links to people they’d found online who were writing about miscarriage. Adriel Booker was one of those people. Her words were like a lifeline to me. 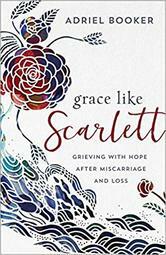 Not surprisingly, her book, Grace Like Scarlett: Grieving with Hope After Miscarriage and Loss, felt the same. 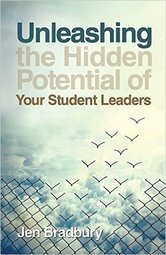 Grace Like Scarlett also invites readers to process their own pain and discover the hope of Christ through a series of journal prompts that Adriel includes throughout the book. What’re more, it invites spouses to do the same. The end of the book includes a helpful letter from Adriel’s husband addressed to grieving dads that acknowledges their pain and gives them tools for walking through it. Without a doubt, Grace Like Scarlett is a book that will be a lifeline to any woman who’s endured a miscarriage. But more than that, it's a vulnerable exploration of grief that anyone who’s grieving will find helpful. Disclosure: I received a free copy of Grace Like Scarlett from Baker Books in exchange for a fair and honest review.